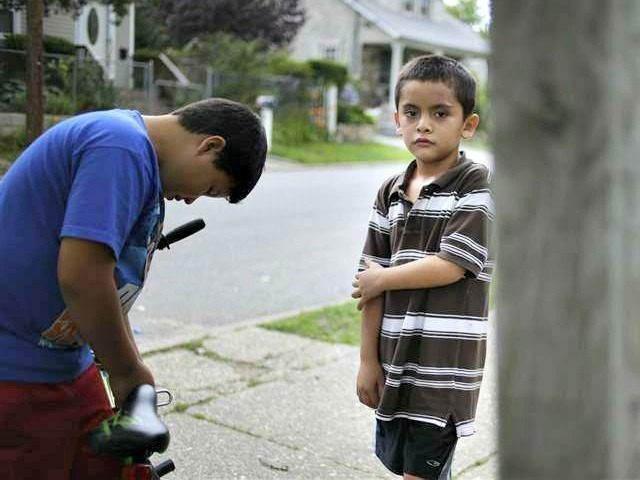 Just 3 Unaccompanied Minors Deported for Every 100 Caught Illegally Entering the U.S. While the number of unaccompanied minors from Central America illegally crossing the U.S.-Mexico border has boomed — growing by more than 1,200 percent in the past four years — few have been returned to their home countries, according to a new government report. A Congressional Research Service report released this week and first highlighted by the Washington Free Beacon reveals that nearly 52,000 unaccompanied minors from El Salvador, Guatemala, and Honduras (the “northern triangle” of Central America) were apprehended illegally crossing the U.S.-Mexico border in FY 2014. According to CRS, FY 2014 level represented a 150 percent increase over FY 2013 and a 1,200 percent increase compared to FY 2011. Unaccompanied minor apprehensions declined slightly in FY 2015, but then jumped to higher levels again in the first few months of FY 2016. More precisely, as CRS’s analysis of Customs and Border Protection data shows, in FY 2011 CBP apprehended 3,933 unaccompanied minors from Central America at the U.S. -Mexico border. In FY 2012, that number grew to 10,146 Central American unaccompanied minors, then 20,715 Central American unaccompanied minors in FY 2013, 51,705 in FY 2014, 28,387 in FY 2015 and 18,558 in the first five months of FY 2016. “Although the number of Central Americans reaching the U.S. border has declined since FY2014, U.S. apprehensions of unaccompanied children remain at elevated levels, placing strains on government resources and raising concerns domestically and internationally about the safety and protection of the children,” the report reads. In FY2013, ICE deported 159 unaccompanied children to El Salvador, 661 to Guatemala, and 461 to Honduras, for a total of 1,281 children. U.S. deportations of unaccompanied minors increased slightly in FY2014, to a total of 1,379 children for all three countries. Those deported were apprehended prior to the FY2014 surge and were returned in small numbers. In FY2015, ICE deported 178 unaccompanied children to El Salvador, 544 to Guatemala, and 419 to Honduras, for a total of 1,141 children. In other words, for every 100 unaccompanied minors from Central American apprehended illegally entering the U.S. just three were deported in FY 2014 and just four were deported in FY 2015.